We have lots of stuff to share with you today so let’s get right to it!!! Elena: Beth Ehemann, Author of the Cranberry Inn Series that I loved so much, will be in Anaheim at the OC book signing in California with lots of other great authors! You can read more details on her Facebook page. If you’re nearby, don’t miss out on this amazing opportunity to meet her and get your book signed! Tamie: Elena, I love book signings, and it’s great that so many authors are still taking part in them. What a fantastic way to get to meet the authors we love! I want to remind everyone that you can still enter the fabulous giveaway from Christina Lee and Tessa Bailey. It’s International, and ends on Sunday night so don’t miss out!!! This Tuesday, Screwdrivered from Alice Clayton releases. You’re going to want to have this book right away. You can pre-order it here. There is an amazing giveaway going on right now on Goodreads from Gallery books. 30 copies of Tied by Emma Chase are available. Go here to enter. Lastly, I’m super excited about sharing my Stacking The Shelves post with you tomorrow, so get ready to share yours with me. 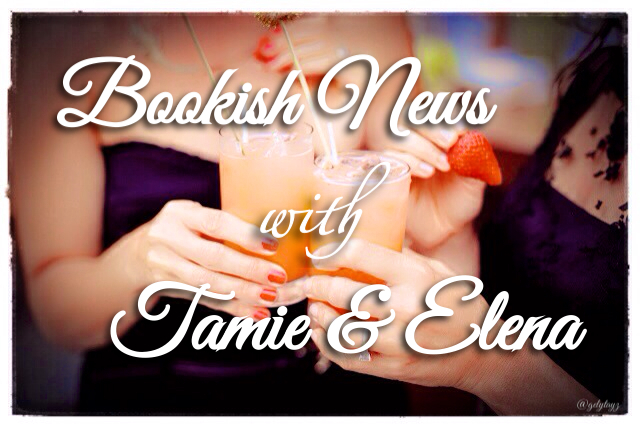 Feel free to share any bookish news with us about upcoming events or releases. We love hearing from you! Happy Saturday all! See you later today!!! This entry was posted in Alice Clayton, Author News, Beth Ehemann, Book News, Book Release, Bookish Temptations Exclusive, Christina Lee, Emma Chase, Favorite Authors, S.C. Stephens, Sylvain Reynard, Tessa Bailey and tagged Alice Clayton, Author news, Beth Ehemann, Book news, Book Release, Bookish Temptations Exclusive, Christina Lee, Emma Chase, favorite authors, S.C. Stephens, Sylvain Reynard, Tessa Bailey.